What strikes in your mind when you think about content marketing? More than likely, you think of a lengthy guide, a crispy blog post, or content in the form of infographics. 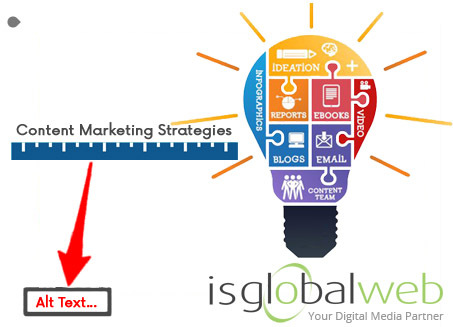 Do you think this much is enough to strengthen your content marketing efforts? Obviously not. You should not overlook the power and importance of visual content marketing. Amongst all these types, images are most popular. If you add attractive images in your content, you could possibly get more fruitful results. Wondering how to build an effective visual content marketing strategy? 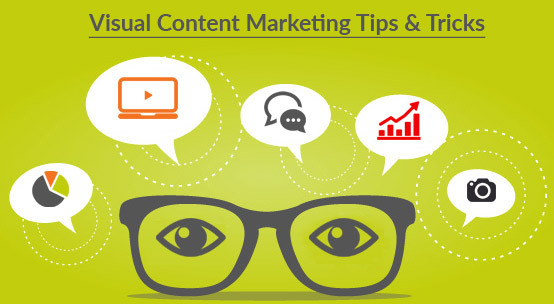 Here are some simple visual content marketing tips that you need to remember regarding the use of images in content. 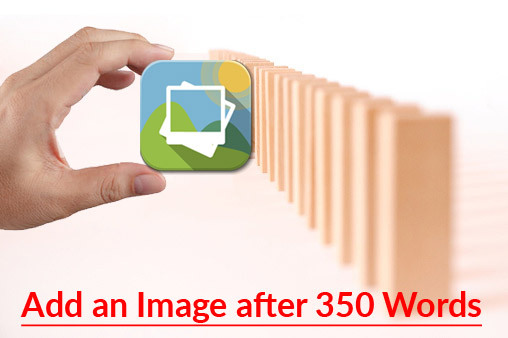 In general, you should include at least one attractive image in your content for each 350 words. For example, if you write an article of 2,000 words, you need to add six pictures or more. Also, add images at regular gaps so readers can breathe while reading the post. Last but not the least, a specific pattern of image-content-image-content will keep your readers interested and engaged in your post. 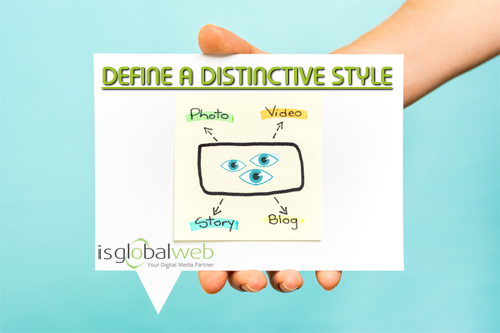 Try to create a different style for your visual content and add it in your branding strategy. When readers will take a look at your visual content, it should be very easy for them to recognize your visual flair or style. Most of the top-notch brands are habitual of doing this. This method generates advertisements that resonate with its users and can be quickly identified due to the unique style. Think as a reader here. Would you like to read a plain text of 2000-3000 words? No for sure! Today readers love to stick to a post only if the data is presented in an attractive manner. In short, data visualization is must nowadays. You can turn your lackluster data into captivating infographics. Also, don’t forget to infuse more fun and colors in images used by you in content. Don’t think it as an alternative only. 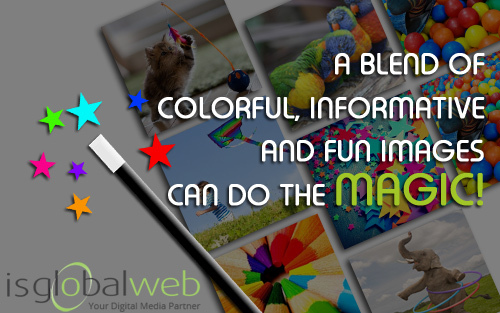 Colorful and interesting images help your content to pull more eyes and this eventually soars up the ranking. Make sure you take different variations on the keyword. Also add keywords that you would like to target. Remember; add an alt tag whenever you include a picture to your content. An alt tag is a kind of HTML coding that is used to provide name to an image. If end-users scroll over the image, they can easily see the alt tags. 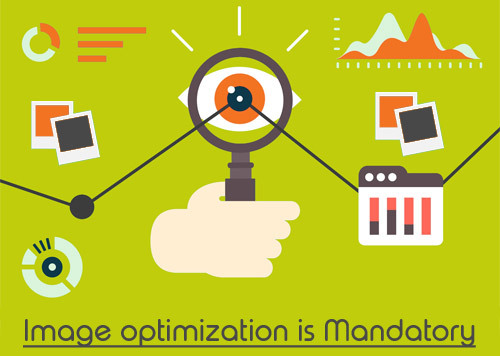 If the images used by you are well tagged, they will be able to hold a strong position in SERPs. Don’t forget to slap your logo on the picture so you get more exposure for your brand if people use it again. Keep in mind, just initiate by adding quality and attention-grabbing images to your content and then wait for some time to see the results.